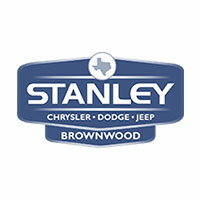 Stanley Chrysler Dodge Jeep Ram Brownwood offers New & Used Cars to Drivers from Coleman, Eastland, Lampasas & Beyond! Some drivers from Brownwood know us as their neighbors. Others from Lampasas, Stephenville and Eastland, TX know us as the new RAM, Dodge, Jeep and Chrysler dealership in the area. Others – for the integrity of our used car collection, parts, service and repairs. Still others – our straightforward auto financing. There are even those who know us in all of these different capacities. In short, Stanley Chrysler Dodge Jeep Ram Brownwood is a comprehensive new and used car center. That means, anything you could want that relates to either new RAM, Dodge, Jeep and Chrysler models or used cars – from a simple answer to a repair to a direct explanation of cost – you can find right here, under one roof.